I love the little bunny that comes with this set. 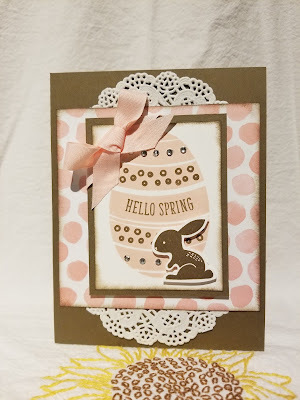 When stamped in brown, it takes on the appearance of a chocolate Easter bunny... yum! 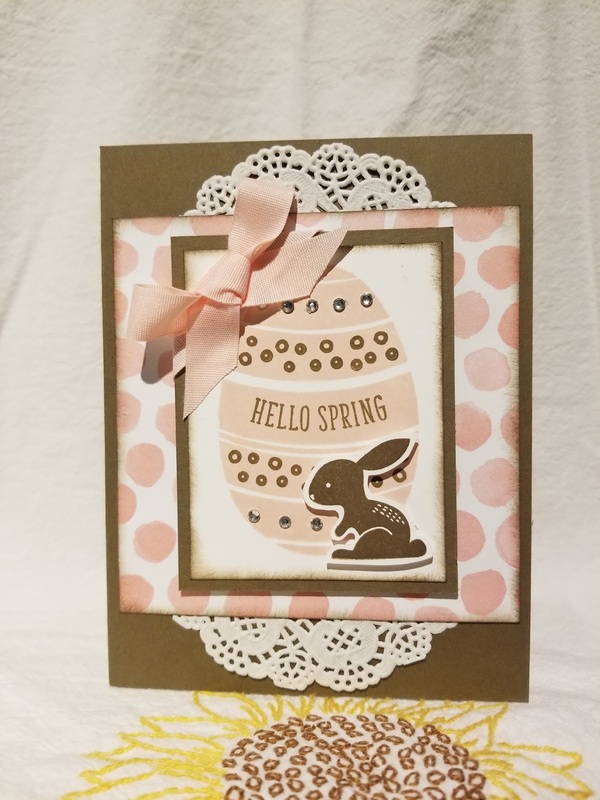 Powder Pink, Soft Suede and Very Vanilla definitely gives this card a "Neopolitan" ice cream look, right? I'm getting a sweet-tooth now!